Today’s episode is called RKO and RPO, that’s Roy Orbison and the Royal Philharmonic Orchestra. We’ll be talking about the album, A Love So Beautiful. The album was released November 3rd, 2017 by Sony Legacy and especially by our Sony Legacy UK team. I met them last week and they’ve done such a great job and I just want to thank everyone down there at the office. This album is primarily aimed at the UK and Great Britain, Roy’s done fantastically there over the years and there’s so much love for my dad. We’re kind of copying an album that Elvis Presley did in 2015 called If I Can Dream. That album was produced by Don Reidmand and Nick Patrick. The next year, 2016, they did another Elvis album The Wonder of You. After that, they contacted us in 2017 which is Roy’s year with the Royal Philharmonic Orchestra. Those two guys, Don and Nick are great friends, very funny and supremely talented. They both have different gifts that they brought to this, but they honed their craft and developed a market for these Royal Philharmonic Orchestra albums. The album is great and is set to do fantastically. The first single was I Drove All Night with Ward Thomas. Lizzy and Catherine are 23-year-old twins from the UK, they say they’re country music although it’s very poppy and they did a great job singing the duet with Roy. That song charted at number twenty-eight, it was number one on the BBC radio playlist and it did fantastically well. The second single is coming out right around now and its Love Hurts. A lot of people were surprised that Love Hurts was first recorded by Roy. It was the back of Running Scared in 1960 which was a number one in both the United States and in the UK. 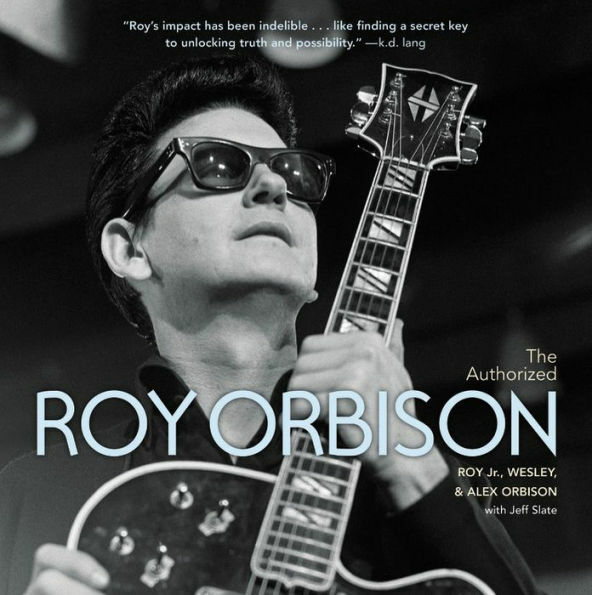 Roy was number one with Love Hurts which was also recorded by the Everly Brothers around the same time, but the song was written for Roy Orbison by Boudleaux Bryant. Boudleaux and Felice were Roy’s friends and part of the reason that Roy moved to Nashville. They wrote All I Have to Do Is Dream by the Everly Brothers. They also wrote the song Love Hurts specifically for Roy. Roy was living at their house at the time and because the Everly Brothers had the same publisher as Roy and Boudleaux Bryant they also got a shot in it. Later in the seventies the song was done by Nazareth and that is a version that everyone in England and around the world loves, a kind of scratchy throated version. Roy’s is still the best and is the original. This is going to be fun to see what happens with Love Hurts by Roy Orbison and the Royal Philharmonic Orchestra in 2017. After that we have a Christmas song, Roy’s only Christmas song called Pretty Paper. This will be the Christmas time single, hopefully there will be a fourth single of A Love So Beautiful and even a fifth single later. It will be closer to April when the Royal Philharmonic Orchestra will be touring with Roy Orbison as a hologram presenting these songs. Roy and RPO as we call them his match made in heaven. It’s a 75-piece Orchestra, every one of those people is a master at their instrument and has put in years of sweat and hard work. They’re all so good, I could watch any one of them alone but all together they’re unstoppable. They’ve got a wide range, they can play jazz or country as well as classical. Recently they did the Jaws soundtrack and I miss that show. The reason that RKO and RPO is such a good combination is that Roy invented orchestral rock back in the 60’s. That kind of music was taken up by Queen and Jeff Lynne. The dramatic invention came about on a specific song called Uptown. Fred Fosters wanted to have strings on the song Uptown as he thought the strings would make it kind of more sophisticated more “uptown.” So, he asked for strings and he thought Fred Foster couldn’t deliver but Fred went out and found a violin teacher and her two students and brought them in. At the time, everyone else in Nashville played fiddle so it was more of a country style and kind of a weepy Bluegrass style which was popular in Nashville. Those strings sounded like a whole orchestra on Uptown. Roy continued that through all the big monumental hits, there’s great orchestration in in Dreams, Crying, and Only the Lonely. something and there is something added to these songs when you listen to them. The first fifteen or twenty seconds you don’t know which song it is and it’s kind of a game, “oh, which one is this?” “oh, it is Drove All Night.” They did a great job and these songs are now set up to last another fifty years into the future as classics on their own. The packaging for A Love So Beautiful is great, it’s gray with the orchestra behind Roy standing like the Statue of Liberty holding his guitar. When you turn it over to the list of songs you might think that it’s a greatest hits package because you recognize all the songs, Dreams, Crying, Oh Pretty Woman, Dream Baby, Love Hurts, Mean Woman Blues, Only the Lonely, Running Scared, Drove All Night, You Got It, and so many more. What we did was we took Roy’s voice, isolated it and dropped all the backing tracks and rebuilt the tracks from the ground up. In a couple of cases we used the old parts or the guitar solo and a lot of the background parts did bleed through on the vocal, but they did a great job isolating the vocal. What you’re hearing is new, new drums, guitars and everything. 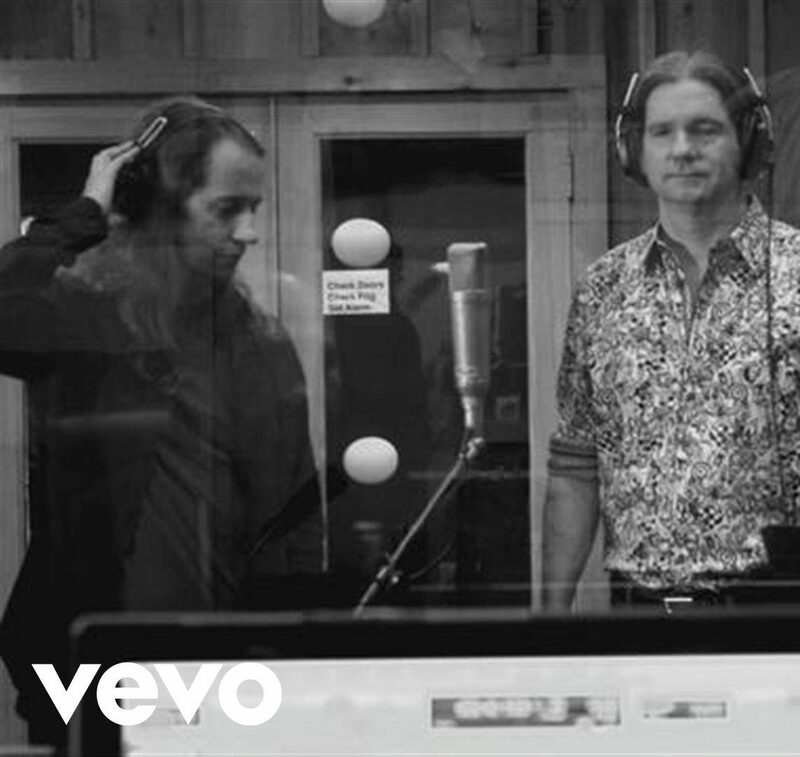 On a song like Pretty Woman, one of the greatest rock songs ever written, Alex, Wesley and I had the opportunity to play on it with the Royal Philharmonic Orchestra and Roy Orbison which was an opportunity we jumped at. Playing with my dad is the reason that Wesley plays guitar, I play guitar, and Alex plays drums and playing together has been our big lifelong dream and we got to achieve both of those. Our parts were recorded in the Roy Orbison studio in his US studio here in Nashville. They have a new name now, but they were written by Roy and it’s a place where Wesley and I grew up for a little bit in Nashville. While we were recording, I felt Roy there, I said, “he’s here, if he’s anywhere he’s here right now with us.” Then to hear him over the headphones and play along with that great song, it was an amazing experience. We layered down quite a few guitars, I played a Gibson ES-175 through a Fender Deluxe Reverb. We took kind of a middle settings because we wanted it to be close to what they would have done in 1964. 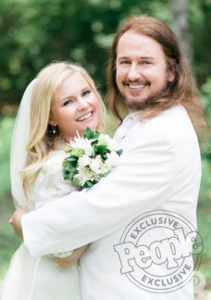 Wesley Orbison played the twelve-string acoustic guitar to kick off the song with a great riff. That’s the way they did the original, they layered guitar after guitar until by the time Roy started singing there were about six guitars. We even layered Les Paul and Fender guitars on there and played a whole army of little guitars. Alex is a great drummer, he’s our favorite drummer and he did a wonderful job. We filmed this and it’s a beautiful video. On the video you will see our secret surprise which is Roy Orbison the third, my son, little baby Roy III was ten months old at the time and he played the opening notes that you here on Pretty Woman on guitar. He also played the tambourine on the part that breaks down where Roy says, “wait what do I see?” and he’s hitting a tambourine in there. We’re trying to get him into the Guinness Book of World Records as the youngest guitar player on a hit album. Now, he is twenty months old and he’s developed a lot on guitar. We tuned the guitar to open and we tuned a Stratocaster to open-e and the song Pretty Woman begins in the key of E. We put it through a marshal stack in the other room, turned it way up and just gave him a guitar pick and let him go to town. The results were fantastic and very fun. In the video you see him playing so you know it’s him and at the end he does a little mic drop to end the song. I love the video so please look at it. I think there’s a connection in the blog that corresponds with this podcast. Every week or two when we do these podcasts there’s a blog that goes along with it which usually has pictures and links, so be sure to check those out. We are calling the podcast Roy Orbison Junior’s Rock and Roll Circus Blog. 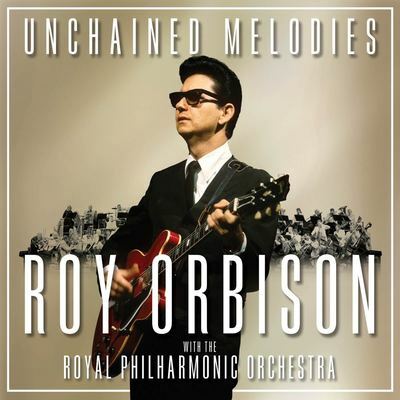 There’s a saying that developed in Britain back in the 60’s and 70’s, “there is only one Roy Orbison.” On A Love So Beautiful Roy Orbison is with the Royal Philharmonic Orchestra and we have three Roy Orbison’s on that one song, three generations of musicians, my dad, my brothers, and my son. It’s really a family affair and we’ve updated it in what I hope is a way that would make Roy smile and feel proud. The Beatles pose. You have to wait in line, we had to wait in line with fifty people ahead of us and the whole thing stops up traffic. I’ve heard they’re turning it into a museum which should be exciting, and I can’t wait to go and hopefully the public will be able to go in and see where this magic happened in the next couple of years. A side pitch is that we’re opening the Roy Orbison Museum in Nashville Tennessee in the fall of 2018. We’re opening right beside the Johnny Cash Museum, so we are in good company and we hope that you’re going to enjoy the museum as much as we’ve enjoyed building it. We’re still working on it and we’ve been working on this for ten years now. My mother Barbara started it all and we’ve had several locations that kind of fell through or wasn’t the right circumstances. Now we have all the pins lined up and we’re going to knock them down. Hopefully the Roy Orbison Museum will be the best museum in the world and we’re excited about that. A Love So Beautiful was written by Roy Orbison and Jeff Lynne and is included on the Mystery Girl album. There’s also You Got It that was written by Jeff Lynne, Tom Petty and Roy. Included is the bonus track Pretty Paper and a version of Drove All Night with just Roy singing for the people who want more of the original. It’s been just so much fun, a real labor of love and everyone involved did such a great job. We are hoping for a big success with this one and it’s doing well so far. The last time I checked it was number one on Amazon in the UK and it was number two on the national charts. We did lots of press and newspapers and we did some great magazines, and everyone was very nice to us. We started in Los Angeles at the Grammy Museum and had a great night there. Then we went to New York where we did an event at the Gibson showroom. We flew down to Austin Texas where we did the ACL Austin City Limits Hall of Fame. Then we went back to Nashville and did a book signing where we pushed our po a bit. Then we went to the UK for a full week. After England I flew to Sweden to go meet with Sony Sweden to see how the album could be placed there and met up with a great friend of mine Adagas Baga. Adagas is a big-time producer and I think he’s interested in doing A Love So Beautiful for Swedish release or maybe a more modern release for Europe, so stay tuned for some surprises there and maybe another great song off this album. great people, old fans of Roy’s and lot of important business people and so far, it’s really clicking and connecting to a lot of people. Another aspect of this Roy Orbison with the Royal Philharmonic Orchestra is the hologram tour. When we first thought about doing the tour with the Royal Philharmonic Orchestra and Roy Orbison we knew we had a couple of different choices to make, we could put Roy on a screen in the back and isolate him (that’s a similar thing that they do with Elvis quite a lot) and I like that approach. The people who do these holograms approached us and we got the opportunity to combine two projects. So, beginning on April 8th, 2018 Roy Orbison will tour the UK again. It will begin in Cardiff Wales at the Motor Point Arena and then the tour will circle kind of clockwise all the way up through the Midlands, Plates-Leads, Manchester and will end with two nights in London. The show is selling out quick and already is a pretty big success. The hologram looks good, I’ve seen it and the same thing that’s been happening to your television sets the last ten years has happened with these holograms. They started off doing Michael Jackson and Tupac Shakur at around 700 pixels, then it jumped to 1400. These new holograms are 4000-pixel HD holograms and it could be even higher than that by the time we get to April. This kind of technology bodes well for the future as a music fan and I look forward to the day that maybe we could see Hank Williams or Louis Armstrong or even the Traveling Wilburys all together doing a show. That’s the kind of potential that these holograms have and while it’s kind of the icing on the cake and a little bit of an extra thing on top it’s on a Bedrock of great songs that my dad wrote and his original voice played at full volume in these large auditoriums. 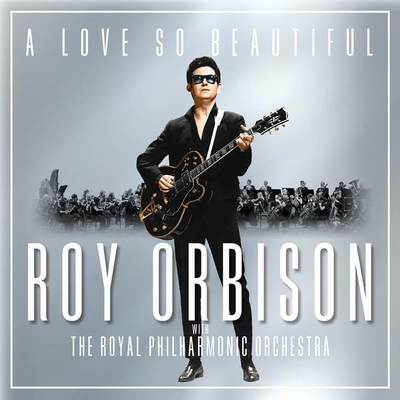 Even in the dark, Roy Orbison’s Running Scared at loud volume will bring tears to your eyes with the Royal Philharmonic Orchestra playing live. The hologram walks out to the center of the stage, turns and then goes into Only the Lonely. We’re sure it’s going to be a treat and something really to look forward to. The tour is a global tour, it continues after the UK to Holland for one night, Belgium for one night, Germany for some nights, and ends up down in Australia and New Zealand with a nice run down there. There’s going to be great t-shirts and merch and I can’t wait to see all the things they’re doing around this, meet everybody in the RPO and see the look on the fans faces. I’ll be coming to all the shows and I hope to see you there. I think I’ll come out during intermission to sign some autographs at the T-shirt stands. It should be a great time and I hope everyone enjoys the Royal Philharmonic Orchestra with Roy Orbison. 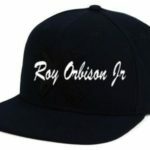 Be sure to check out RoyOrbison.com for dates and merch and you can buy a copy of A Love So Beautiful there or on my site Roy Orbison Junior where I’m also selling the RPO album because I played on it. We have other goodies in there to check out like my Roy Orbison Junior hats. It’s getting cold for the winter or if you’re listening to this in the summer and you need a baseball hat to keep the sun out of your eyes these hats are great, and I wear this hat myself. Thank you again, I hope everything’s doing good out there for you and the world and see you next time. Previous Post: Roy Orbison Jr with Gibson ES 175.